On its own or as an additional component of our strategic Financial Planning Advice we can research your current insurance program and determine what is the most appropriate level of insurance protection for the various risks you face, whether your current protection is appropriately priced, with the features you need and structured in the most tax and cost effective for now and at claim time. We have a significant number of insurers available to use and will quote each company on price, product quality, and service to find the best insurer specifically for you and your families needs. Ongoing this is reviewed annually to match any changes in your personal circumstances, legislation, improvements in products and price competitiveness to ensure it continues to be the most appropriate cover. 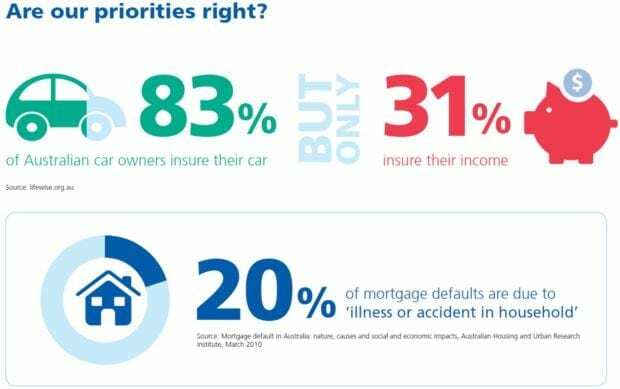 In order of priority, we feel the following criteria should be considered when choosing a life insurer. Assessing the Company’s Capacity to Meet Claim Payments – This is best assessed by considering the company’s Standard & Poors credit rating. None of us would ever want to go through a HIH type experience. Assessing the Company’s Displayed Willingness to Pay Claims – This is best assessed by the experiences of your broker. A low premium would be soon forgotten if a claim was denied or contested. 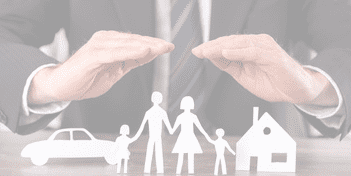 The Terms and Conditions of the Policy Being Offered – Terms offered by the various life insurers vary significantly and it is vital to understand the precise extent of the cover that is being offered. Again a low premium would be no consolation for an unmet claim. The Renewal Terms Offered by the Insurer – Your ability to renew your insurance for as long as you wish is vital. We prefer to only recommend guaranteed renewable policies with an expiry date that is at or after your preferred retirement date. The Current and Future Projected Premiums Rates – Lastly, we believe that the policy offered must provide reasonable value for money. Current & future projected premiums must be competitive even after taking into account all of the previous four criteria. Income Protection Insurance (Salary Continuance) – this type of cover is designed to pay a regular income for an agreed period of time in the event that the insured loses their ability to earn their income due to accident or illness, after an agreed exclusion or waiting period has passed. The policy proceeds are generally paid to the policy owner and they are taxable income. The benefit amount payable is up to 75% of your employment income, including superannuation. The waiting period is the time during which you self-insure. Normally the shorter the waiting period the higher the premium. Indemnity Benefit: Means that the monthly benefit received may be reduced when you claim so that it does not exceed more than 75% of your earnings before the disability. Critical Illness (CI) Insurance – this type of cover is designed to pay a lump sum upon satisfactory medical proof of the insured having suffered an insured, life threatening illness or traumatic injury, subject to the policy definition, with the proceeds going to the policy owner. Again the proceeds are generally tax-free in the hands of the policy owner. The common critical illnesses include cancer, stroke, heart attack and coronary artery bypass surgery. This type of cover is generally arranged on a yearly renewable basis and may in some circumstances be added to a Term Life Insurance policy. Total & Permanent Disablement (TPD) Insurance – this type of cover is designed to pay a lump sum upon proof of the insured being totally & permanently disabled, according to the policy definition, with the proceeds going to the policy owner. Again the proceeds are generally tax-free in the hands of the policy owner. Generally the most cost effective way to arrange this type of insurance benefit is as an addition to a yearly renewable Term Life Insurance. The lump sum payment can be used to repay debts and to provide for you and your family’s ongoing expenses. It is generally taken out by the corporate entity where there is a potential risk to the ongoing financla health of the business should such an event occur. In large business this is common practice at the executive level but is even more important at the small business level because of the inherantly higher value and therefore financial risk with key personel. This cover is designed to provide protection and help offset the costs of hiring a successor and the training required and cover the lost revenue during this process. A key person can be an executive, key sales person, IP holder in the firm or any other staff member who’s departure from the business would have a financial impact worth insuring against. The level of cover is determined by assessing the financial gap in the event of such occurance. Premiums are tax deductible to the business and insurance proceeds are taxed as revenue. Business Expenses insurance ensures the continuity of your business, providing you with a business to return to following a period of illness, or a business to sell as a going concern. Running a successful business takes time, money and lots of hard work. So insuring their business should be at the top of your mind when thinking about what might happen if they were totally disabled and couldn’t work. Business Expenses insurance provides protection specifically to meet the fixed costs of their business. Loan protection insurance protects individuals from the serious consequences of defaulting on loan repayments if they are unable to work due to accident or illness. For business owners, loan protection can mean the difference between continuing to operate and going out of business if you are off work for an extended period of time. Buy/sell agreements are contracts between business partners or shareholders of small businesses, typically taken out as a form of business insurance. Should death, permanent injury or even divorce leave one partner remaining, buy/sell insurance covers the purchase of the remaining share of the business. Shares in a business are often left to next-of-kin in a standard will. Recipients, however, may not have the skills, time or interest to actively participate in the business. A buy/sell insurance agreement (also known as shareholder protection) ensures that loved ones are not financially disadvantaged. and the reasoning behind the specific recommendations. The process was extremely streamlined and efficient.